UDM Downloads > Password Decryptor! Decrypt your password behind the **** (asterisks) mask. 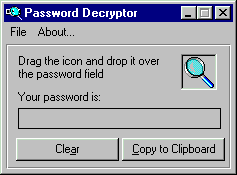 Just drag the icon and drop it over the password field and you'll get your forgotten password back!